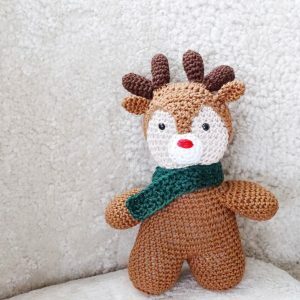 The Crocheting proudly presents the free Baby Rudolph Amigurumi Crochet Pattern! This pattern was designed with love using Hobium Yarn‘s Kartopu Love Cotton Yarn. This yarn is absolutely MADE for a cuddly amigurumi plushie–it is so soft and squishy and is 100% cotton DK. 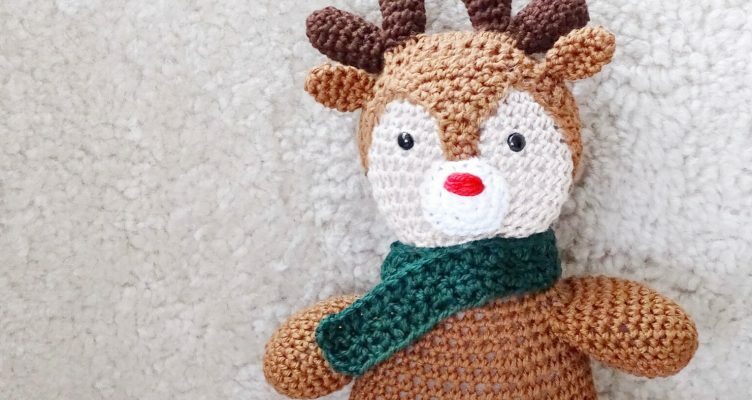 With dozens of colors to choose from, you can choose your own color scheme for this adorable little Rudolph, and get ready to see your friends and family’s faces LIGHT UP at the sight of this cute creation! Inspired by the heartwarming tale of Rudolph the Red-Nosed Reindeer, this pattern embraces the wonderful marvel of the holiday times. 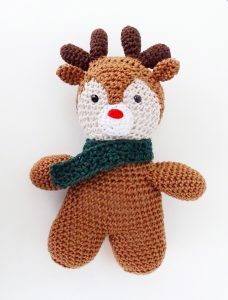 We would love to see your finished Rudolph! Share and tag #TheCrocheting and #LoveHobium to show off your finished creation! Hope you enjoy 🙂 Happy Crocheting!